Just three villas dot the spacious gardens on our 150-meter shoreline, each with its own view of the spectacular lagoon. 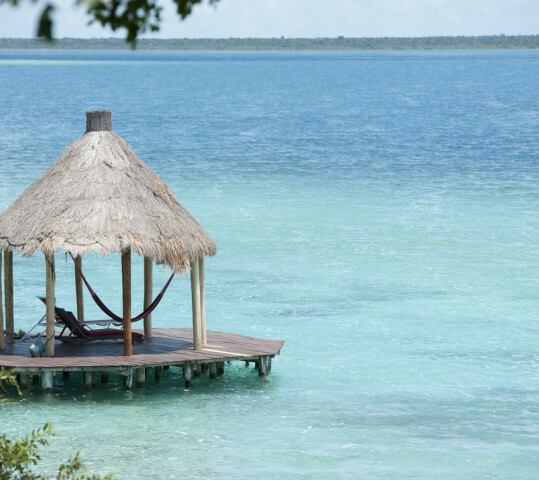 Hi, I'm Ginny, and together with my staff we will ensure that your stay in Bacalar is a perfect vacation time. 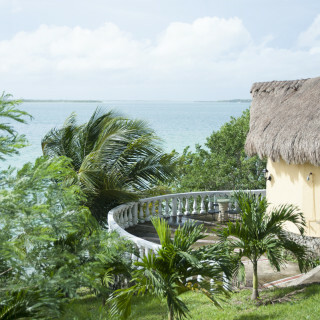 Our peaceful, relaxing compound offers unparalleled privacy, with three villas spread along more of Laguna Bacalar’s lush shoreline than anywhere else this close to the town of Bacalar. Its good restaurants, markets, and low-key entertainment are just 4 km south of us. 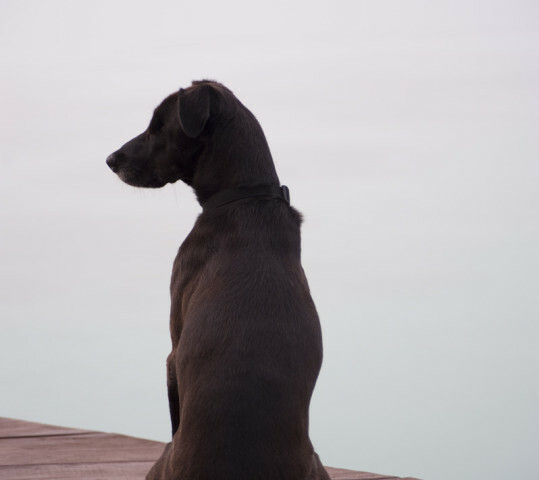 We have five friendly dogs who like new people, especially kids. They spend most of their time near the main house, though (except when they lead you down the driveway). They also like well-socialized dog visitors. Each villa has its own private terrace. 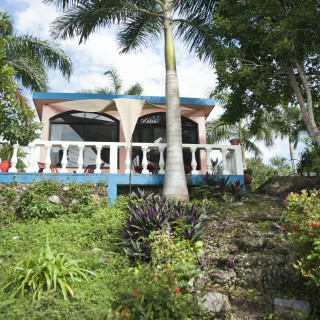 All are fully furnished, with kitchen facilities, spacious bathrooms, 24/7 electricity and hot water, and ceiling fans. 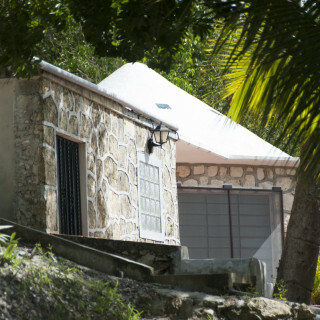 A/C is available in the Cabaña and the Casita; two dormers cool the Palapa. Click on a Villa to see. Our palapa-roofed dock shades hammocks and lounge chairs, perfect for resting your eyes on the water’s changing colors or recuperating from your water sport of choice. 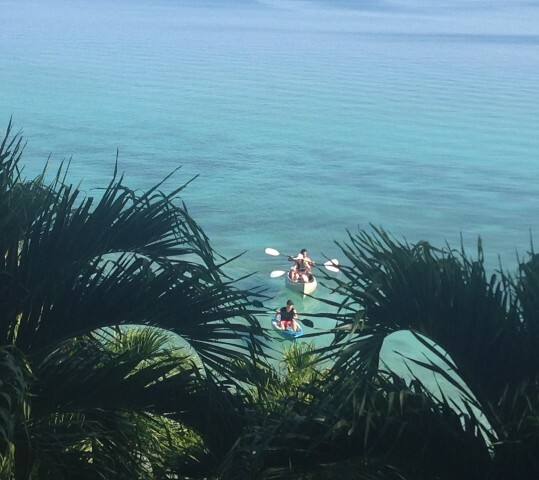 Three kayaks and a canoe are available for exploring the laguna or paddling to our nearest favorite restaurant. 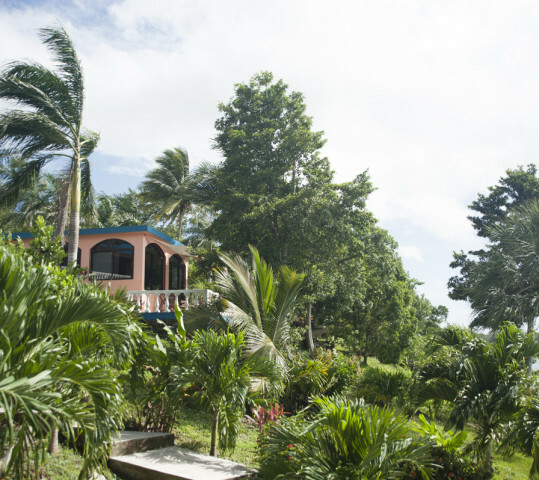 "The property is very large and spacious with an amazing landscape and use of kayaks and a little boat free of charge."